I can still remember exactly where I was when I heard about the attacks on the Twin Towers. It was a Tuesday morning and I was sitting in a 7th grade math class in Plano, TX. Even in Texas, chaos ensued. People were crying, parents came and got their kids out of school, teachers turned on televisions in class. And I remember the aftermath: The hours watching the news. NYC being covered in a dark, dusty cloud. Many living in fear that their city, their office building, would be next. 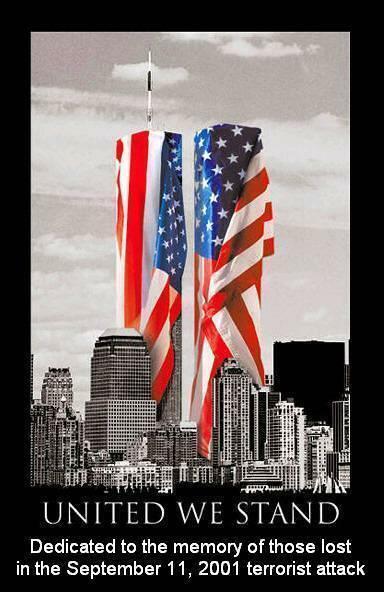 But with the horror, I also remember how citizens came together and stood proudly as Americans. How we prayed as a nation more than ever before. And how we pledged that this act of terrorism would not break the American spirit. It's amazing to think that my 5th graders weren't even born in 2001. Most have heard stories, but none of them have a firsthand grasp on the event and the magnitude of the after-effects. So, as teachers, it is our job to tell them, to instruct them, to show them. Here's my plan for September 11th. To start the ball rolling, I'm going to show them this awesome BrainPOP video that gives a detailed summary of what happened on September 11th. It provides good context for vocabulary that is introduced and answers some of the basic questions that students are sure to have. There's also a quiz you can take (as a class on the Smart Board or individually if you print it out) that I'm going to use to assess their comprehension and to address anything they're still unclear about. After we've watched the video and taken the quiz (whole class), we'll discuss the major themes and plot points as a class. Then I'm going to read them probably one of the best books I've found on September 11th. I really like it because it shows the event from a different perspective than most. 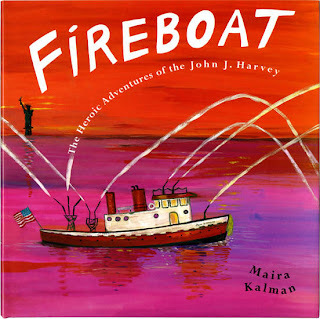 It tells the story of an out-of-commission fireboat (literally, a boat that is used to put out fires). The John J. Harvey is too old to serve firemen, so it is now considered worthless. A group of friends save it from becoming scrap metal and keep it as a commemorative tour boat. But when terror hits on September 11th, the fire department calls once again on the John J. Harvey to help save the day! I'm going to use our reading of Fireboat to launch a class discussion on heroes. We're going to create a word web on the board detailing what it means to be a hero and who we consider to be heroes. I'll then give them each stationary so they can write a letter of thanks to someone they feel is a hero. I recently stumbled onto a new site and it was like finding a pot of gold at the end of a rainbow! (Boy, that made me crave a bowl of Lucky Charms...) It's called "Every-day Edits" and it's free! It is chalked full of themed paragraphs for the students to edit - literally one for every day, complete with answer key!!! I will give each student a copy of the paragraph and have them "put on their editor hats" to find all of the errors. Then we'll go over the errors as a class and they can make any necessary changes. I plan to use this about once a week to give them hands-on practice editing on subjects they want to read about. Click here for access to the wonderful world of Every-day Edits. You can search by month to see what themes/topics they have. Soooo, all that to say: I found a paragraph on Every-day Edits about September 11th, so we're going to end our lesson with that. Click here for the September 11th Every-Day Edit Challenge. What are you going to do to teach your students about the events of September 11th?